Our Personalized Christmas Can and Bottle Coolers are an easy and stylish way to ring in the holidays! These custom printed collapsible can coolers are printed with "Merry Christmas" and our stately leaping reindeer design. Customize them with family name, first names and the year! 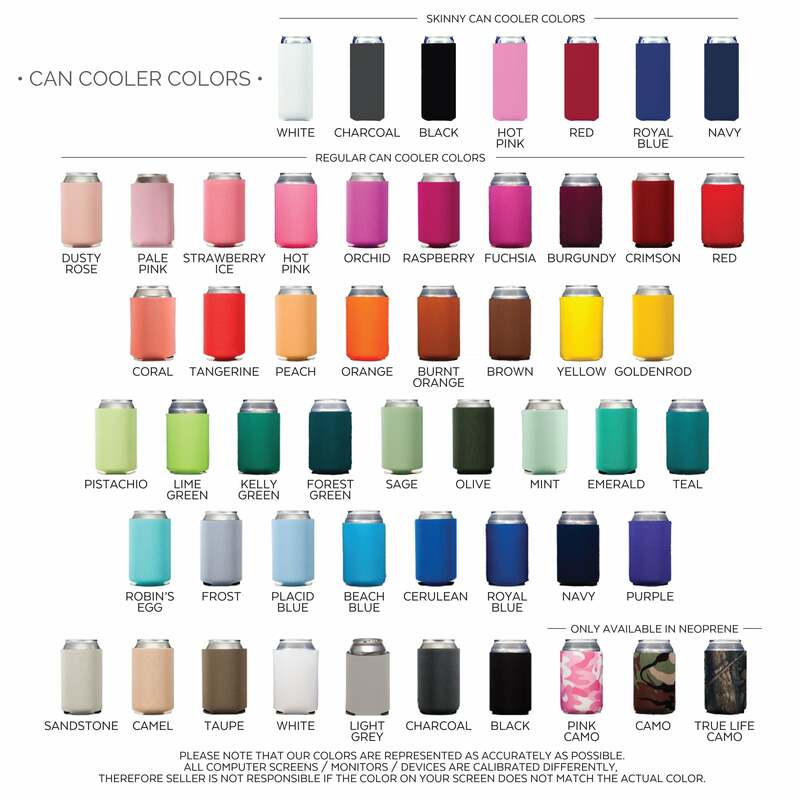 These keep the drinks cool at holiday parties, company picnics, birthdays, weddings and pool parties!